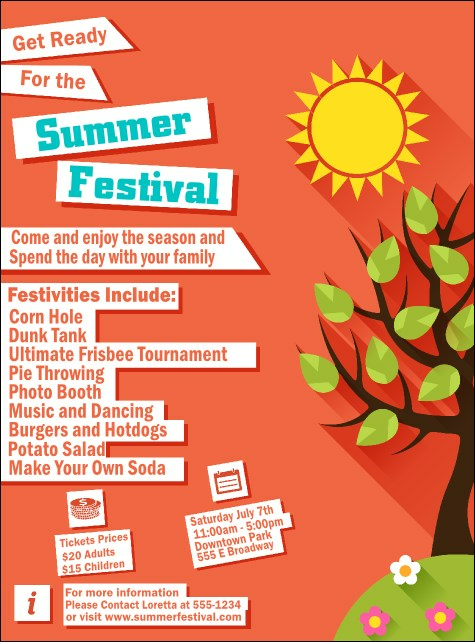 Promote festive summer fun when you post the Summer Cut Paper Flyer before your next event. This creative and delightful template includes a bright summer sun shining down on a sweet tree with green leaves. White paper cut-outs make your information pop on the lovely pink background.